Amsterdam: Elzevirios [Elzevir], 1659. Hardcover . VeryGood. 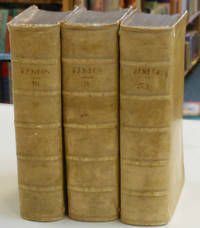 Three volumes in full vellum. Armorial bookplate to each, probably 18th-century (John C. Warren.) Different owner's name (small, quill) to title pages. Minor foxing to a few pages. Engraved title page and engraving of Seneca in vol. 1. Vol's 2 & 3 have title pages dated 1658 with printer's mark. These are clean & solid copies, truly in "very good" condition. Uniformly bound in vellum, 5 raised bands, speckled edges, nice margins on all three books. If a photo is not visible next to this listing, it can be viewed on our Facebook page (Browsers' Bookstore in Corvallis) in the "Books in Stock" photo album. Grif; a story of Australian Life. London: Hutchinson & co, 1898., 1898-01-01. Hardcover . VeryGood. London: Ward and Downey [Covent Garden] 1885. Stated New Edition. Rebound in green cloth. Text has some discoloration in margins, some staining as usual but overall quite readable and in good condition for it's age. Cover is near fine with title stamped in gilt on spine. Brisbane bookseller stamp on title page and Berkelouw book label to inside board. Perhaps Berkelouw had the copy rebound. Berlitz Kids, 1996. Unknown Binding . VeryGood. Edwin F. Kalmus/Belwin Mills, 1111. Paperback . VeryGood. Undated, circa 1960s. Near fine copy in green wraps. HarperCollins, January, 1968. Hardcover . Good. Clean text, solid binding. Ex-library with usual flaws. No DJ. Fraying at all cover corners. Funk & Wagnalls Company, 1906-01-01. Hardcover . Good. Funk and Wagnalls. 1906. 354 pages, Maps, photos. Illustrated blue cloth with titles in red and white. Text clean, binding tight, bright decorated cover. Note: Some pencil underlining. for its age. Finch & McCullouch. Hardcover . VeryGood. 365 daily readings to improve the mind and soul. Random House, 1989-02-04. Hardcover . Good/good. Clean text, solid binding. DJ has many tears that have been scotch taped. Scholastic, Inc., 1998. Paperback . LikeNew. Indiana University Press, 1973. Unknown Binding . Good. DJ Condition: Very Good. 1st Edition great shape except for a few instances of pencil underlining to beginning of book. U.S. Dept. of the Interior, Bure, 1978. Paperback . Good. U.S. Dept. of the Interior, Bure, 1978. Paperback . VeryGood. 1976 printing. Research Report #24. 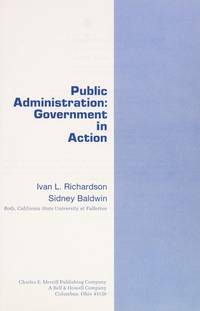 Revised from 1971 printing. Prentice-Hall, 1993. Unknown Binding . Good. Clean text, solid binding. Title page is torn in half from top to bottom down the center. Jacobsen Publishing CO. Inc., 1930-01-01. Hardcover . Good/Good. Ex-rental library copy with it's stamps & pocket. Some wear to DJ, now in mylar sleeve. 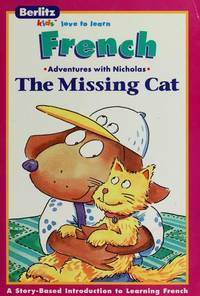 Seems to be a Dickensian story set in France. Leo Cooper, 1972. Unknown Binding . Good. Book is water damaged. Binding is tight and pages are unmarked. Unknown Binding . VeryGood/VERY GOOD. BCE Hardcover, DJ art by Paul Lehr. Macmillan, 1968-01-01. Hardcover . Good/good. Clean text, solid binding. Dust Jacket protected by mylar cover. Ex-library with usual flaws.